*Free, but an RSVP is required for the indoor portion. Donations are appreciated. 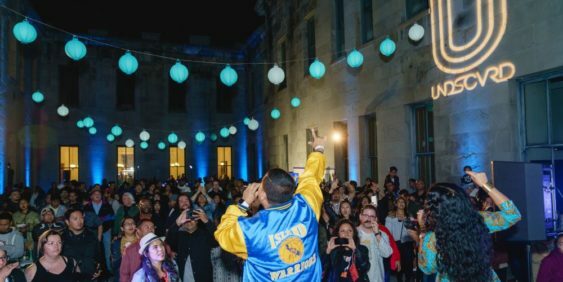 Inspired by the vibrant night markets of Asia, Undiscovered is a free monthly music and food festival and curated collection of emerging artists and merchants that celebrate the rich cultural heritage of SF’s new SOMA Pilipinas Cultural District. 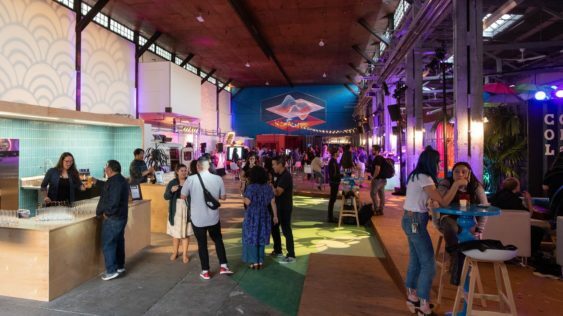 December 2018: Undiscovered Creative Market is back at a brand new colorful location – Colorbloq – with an array of Fil-Am artisan merchants, food and dessert vendors and a live art auction just in time for the festive season. Get your holiday shopping done in one place while enjoying live music performances and the best of 3rd wave Filipino cuisine. 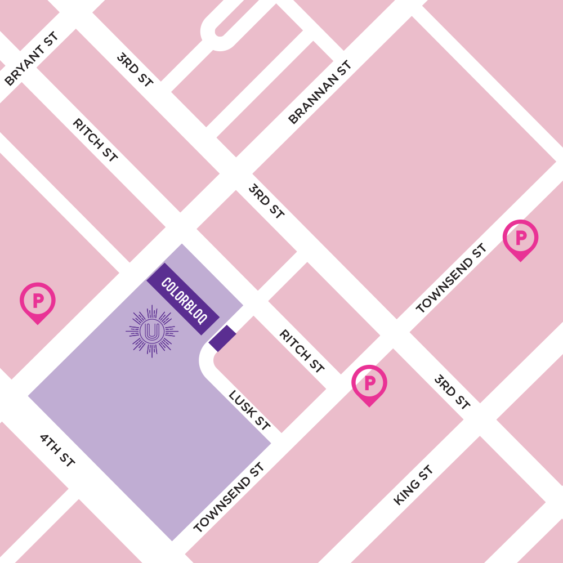 Discover the best of Fil-Am culture and community with emerging artists and merchants right in the heart of San Francisco’s new cultural district – SoMa Pilipinas Cultural Heritage District. Kalligraphy Art by Kristian Kabuay – Leading authority for the propagation and instruction of the Philippine script. Garzi Art – An LGBTQ artist whose work is driven to create a unique visual language. One which might amuse, intrigue, and occasionally confuse. Creator of bright and colorful drawings, hats, and shirts. Ginto Seeds – A lifestyle brand dedicated to connect one to each other’s roots. Ginto Seeds clothing and accessories are tools that encourage individuality, style, creates dialogue and a sense of cultural pride. Good Fishing – We make attractively simple products — for the kid who never wants to grow up, and the adult who never did. HABIness – Weaving together culture and community with handcrafted designs by indigenous and traditional Filipina/o weavers and artisans. Henny & Lumpia by Filipinoish – Local, Filipino, and Fresh: Henny & Lumpia by Filipinoish is a Filipino heritage and cultural apparel and streetwear brand. Herbalaria – The Art of Filipino Plant Medicine. Culturally rooted, indigenous medicine contemporized to modern day spiritual self-care products. Highlit Greetings – Color-it-yourself greeting cards printed on hemp paper. Illa Manila – Apparel, accessories & hardgoods brand serving as a point of connection. Based in San Diego. Insomniac Art & Attire – Art and attire for the bold and daring individual celebrating the beauty in diversity. Isiko Wear – A clothing line based in Oakland, CA that fuses African fabrics with urban American style. Isla Kultura – Handmade Filipino indigenous jewelry and dresses, upcycle jewelry, and art. Island Memories SF – We make hand poured 100% soy candles scented with essential oils, uniquely framed chalkboards, mirrors and art. Kamiseta Mart – Celebrating travel and Filipino heritage with curated goods and souvenirs from around the world. Kare and Passion – Specializing in creating 100% handmade bath and body products free from any harmful ingredients. Kumare Culture – Kumare in tagalog means close female friend. Kumare Culture is an independent, Filipina-owned business that promotes unity and support to all Filipinas and women of color by sharing the meaning of kumare through their designs. littleHONEYvee – Kids clothing inspired by Taglish phrases, pop culture, and whimsical adventures. Love Your Lips with Kristin J – LipSense is unlike any conventional lipstick, stain or color. It’s lip color that is waterproof, kiss proof, smudge proof, and lasts up to 18 hours! Doesn’t transfer or bleed. Adobos N More – Farm-to-table Filipino Food sourced from Sonoma County. Binka Bites – Binka Bites is made of fun & exotic ingredients, such as coconut and rice flour, inspired by a tropical holiday pastry from the exotic Philippine islands called Bibingka (pronounced as bee-beeng-kah). Jeepney Guy – Specializing in Filipino Lechon, slow roasted boneless pork belly with crispy skin. Masarap Food Truck – Serving hot sizzling authentic Filipino food and delicacies. OODAALOLLY Chocolate – Small batch chocolates made with cacao from the Philippines using Swiss techniques. Sweet Cheesus Cakes – Filipino desserts inspired by the rich, tropical flavors of the homeland. DJ Celskiii – DJ and co-founder of Skratchpad whose mission is to make beats inspired by her favorite producers and to spread the knowledge she gained from studying Hip Hop and the art of DJing to the next generation of hungry DJs. Ibilin & Oblivion – Live multi-instrumentalist x beat machine performance. Ibilin & Oblivion is an amalgamation of lush soundscapes and hard-hitting beats, with the warmth of meaningfully reflective vocals. DJ Mel – Deejay from Frisco to Obispo and back again. Mike Dayao – Mike Dayao is exploring his solo path as a Hawaiian Contemporary Musician, sharing ALOHA and positive island vibes to the masses. DJ Style Free – Deliverer of the diverse, DJ Style Free embraces sounds of electro pop, dub-trap, nu-disco, deep house, future bass and melts them as one flavor. DJ VinRoc – Bay Area producer and DJ serving up dope beats and chill vibes. Kawayan Folk Arts – The mission of Kawayan Folk Arts is to promote, research, and explore folk and contemporary performing arts based on the rich cultural heritage of the Philippines. Support local artists from Kearny Street Workshop, Kularts and Hapa Boppa Mamas by participating in the live art auction! Featuring work from muralist Sami See and her “Pinay Living Mural”, Oakland-based artist Malaya Tuyay and her work “What We Hold”, and screen-print “Island Woman Rise” from a collaboration between Maya Fuji and Sami See of Hapa Boppa Mamas. Proceeds from the auction will be given back to the artists to fund their work and also be used to continue producing UNDSCVRD SF.